Last April, under the pressure of a Freedom of Information Act lawsuit, the Democratic administration of President Barack Obama was compelled to make public a series of previously classified memos issued by the Bush Justice Department which authorized acts of torture in chilling detail. The administration attempted to portray the public airing of these documents exposing crimes of the Bush administration as a signal of the new “openness” and “transparency” of the Obama White House. At the same time, the White House made it clear that it had no intention of holding anyone accountable for these crimes, with Obama making a visit to CIA headquarters in Langley, Virginia to reassure those who supervised and carried out much of the torture that he meant them no harm. Burying the crimes of the Bush administration in the past, however, has proven impossible, not only because of their grave character, but also because much of what was done has yet to be fully exposed and many of the same methods are continuing under Obama. The way in which this latest revelation has emerged is highly revealing. It has come to the surface as a result of Obama’s CIA director, Leon Panetta, briefing congressional intelligence committees on the matter. The CIA director went to Congress to give the briefings on June 23—the day after he himself became aware of the secret program and ordered it terminated. The Obama appointee supposedly in charge of America’s spy agency became aware of this operation only four months after assuming his post. The implications are clear. The CIA maintained the secrecy ordered by Cheney even after the latter had left office, and continued to conceal the existence and nature of the covert operation not only from Congress, but from the Obama administration itself. The exact nature of the secret program has yet to be made public either by the CIA or those members of Congress briefed by Panetta. A report published in the Wall Street Journal Monday, citing three unnamed “former intelligence officials,” suggests that it was aimed at organizing the “targeted assassinations” of individuals deemed enemies of the United States in the so-called “global war on terrorism.” In other words, the CIA appears to have been organizing death squads. “Amid the high alert following the Sept. 11 terrorist attacks, a small CIA unit examined the potential for targeted assassinations of Al Qaeda operatives, according to the three former officials,” the Journal reports. Hersh, who said that he was writing a book based on his findings, linked the operation to the military’s Joint Special Operations Command, which frequently works in tandem with the CIA. 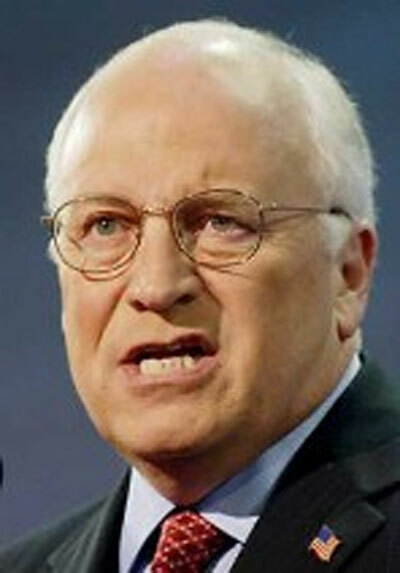 “They do not report to anybody, except in the Bush-Cheney days, they reported directly to the Cheney office,” he said. At the same time, there are suggestions that another facet of the program was the development of a spying program by the agency directed at American citizens and others within the United States itself. The CIA’s charter makes any such domestic operations illegal. Should never happen again? Feinstein’s reaction dovetails neatly with Obama’s demand that Washington “look forward and not backward,” thereby continuing the cover-up of the crimes of the Bush administration. If the “law is very clear,” than it was clearly broken by Cheney and top-ranking officials in the CIA in what amounts to a conspiracy against the American people, who are themselves still “in the dark.” Yet there is no suggestion that these crimes should be prosecuted. Given the continuous revelations over the past several years, from Abu Ghraib to recent reports leaked from the Red Cross, to the testimony of men who passed through the hellish abuse at Bagram Air Base and Guantánamo Bay, if Holder was genuinely “shocked,” that can only mean that crimes more heinous still have yet to be revealed. Any “independent probe” organized by the Justice Department—if it is forced to mount such an effort—will be so narrowly circumscribed as to ensure that those most responsible for torture and war crimes are never touched. The end result is that the power of the state-within-a-state constituted by the intelligence agencies and the military continues its unimpeded growth, aided and abetted by the Democrats and the Obama White House. This poses grave dangers to the working class. All of the crimes for which the CIA was infamous in an earlier period, earning it the title Murder Inc., are being reprised on an even bigger scale under conditions of an immense crisis of American and world capitalism and unprecedented social polarization within the US itself. The existence of a secret program involving assassination and domestic surveillance—concealed from Congress on Cheney’s orders even under the new administration—carries with it the threat that death squads and political repression will be employed against domestic opposition and, above all, any independent movement of workers against the rising unemployment and falling living standards created by the profit system. The settling of accounts with the crimes of the Bush administration and the struggle to prevent even greater crimes being carried out both at home and abroad can be prosecuted only by an independent political movement of the working class based on a socialist and internationalist perspective. A key task of such a movement is the defense of democratic rights. That includes the prosecution of Bush, Cheney, Rumsfeld and all those responsible for the crimes of torture and aggressive war.